Fernando Formaggio graduated in Chemistry at the University of Padova in 1985. After serving in the Italian army (mandatory), from 1986 to 1988 he was research fellow at the University of Louisville (Ky, USA) in the laboratory of Prof. A. F. Spatola, where he studied the effect of the amide bond (-CO-NH-) replacement with the corresponding reduced moiety (-CH2-NH-) in analogs of the natural peptide Leu-enkephalin. He was then high-school teacher of Organic and Biological Chemistry until 1990, when he joined the group of prof. Claudio Toniolo at the University of Padova. Since 2006 he has been Professor of Organic Chemistry in the same University. In 1992 he spent a month in the laboratories of DSM Research (The Netherlands) to synthesize new C-alpha-tetrasubstituted alpha-amino acids in an optically pure form, exploiting a chemo-enzymatic approach developed by DSM. In 1996 he was awarded the “A. Mion” prize for chemists from the University of Padova. He was thesis supervisor of numerous students. He also co-tutored a Ph.D. thesis of a French student (University of Versailles) and was member of judging committees for the final examination of foreign (Strasbourg, France; Trømso, Norway; Leuven, Belgium) and Italian (Bologna and Florence) Ph.D. students. From 2008 until 2011 he directed the Course of Specialization in Chemistry for high school teachers. In 2008 he chaired the judging commission for the qualification exam for professional Chemists. Currently, he is chairing the steering committee of the Bachelor and Master degrees in Industrial Chemistry at the University of Padova. He is member of the European Peptide Society and the Italian Chemical Society (SCI). He was for six years in the Executive Board of the "Chemistry of Biological Systems" Division of SCI. He is currently President of the Veneto Section of SCI. 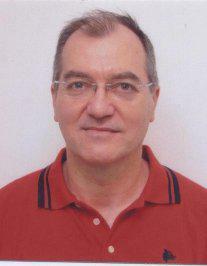 His main research interests focus on peptides containing Cα-tetrasubstituted α-amino acids. In particular, he has been studying the biological relevance of these peptides and the possibility to exploit them as rigid scaffolds for applications in spectroscopy, electrochemistry, material sciences and bio-organic chemistry. He is co-author of about 300 “ISI” research papers and one patent. He participated in numerous sponsored research projects and was scientific coordinator of a PRIN 2004 and a PRIN 2010(Italian Ministry of Research), of a French-Italian Ph. D. project (VINCI 2005) and of a PRAT 2007 (University of Padova). He recently participated to a COST Action (European Union) as a national representative. He presented the results of his research at many international meetings. He was also invited to deliver seminars in foreign scientific institutions (University of Leipzig, Germany, 2002; University of Trømso, Norway, 2003; University of Gwangju, South Korea, 2007). He held seminars at schools for Ph.D. students (Potenza, Italy, 2004; Perugia, Italy, 2006; Milan, Italy, 2013; Urbino, Italy, 2016). 1) Peptidi ad antività antibatterica ed antitumorale (collaborazione con Marta De Zotti, Barbara Biondi e Cristina Peggion). 2) Peptidi a conformazione controllata per applicazioni spettroscopiche e nel settore fotovoltaico (collaborazione con Marco Crisma e Marta De Zotti). 3) Indumenti antimicrobici (collaborazione con Cristina Peggion).